As a vendor neutral networking certification, the CompTIA Network+ highlights that a candidate has the essential skills and knowledge to design, configure, manage, and troubleshoot both wired and wireless networks. The perfect starting place for those interested in a career in networking, the Network+ certification validates competency in networking and introduces candidates to a variety of core technologies used by most businesses in the real-world. Globally recognised, the CompTIA Network+ includes the latest network technologies, knowledge on how to install and configure networks, network management, and information about network security. If you wish to build a broad knowledge of networking, the CompTIA Network+ certification is the ideal qualification, allowing you to move on to further exams, such as the Cisco CCNA, and build a strong working repertoire of networking qualifications. What are the benefits of the CompTIA Network+? As the Network+ is vendor neutral, meaning that is does not focus on products from one particular company, the certification is ideal for building a broad knowledge of the key networking theories and practices that are used by Network Engineers in the real-world. The Network+ does not teach you how to configure a single type of router, it teaches you about networking as a whole, meaning that you are not restricted if a company uses a variety of technologies in their networking solution. Recognised around the world, the CompTIA Network+ can unlock jobs on an international level and ensures that Network Engineers from different parts of the world have the same working knowledge of core networking principles. What’s the average salary with a CompTIA Network+ certification? Due to the broad nature of the CompTIA Network+, those who hold the certification open up a large range of job roles, all with varying salaries. At Commsupport, we know what it takes to create an expert in networking and all of our courses, the CompTIA Network+ included, focus on creating a job ready specialist. A lot of training providers focus on cramming for the exam, creating candidates that know which boxes to tick under the pressure of a timer but cannot transfer their newly found knowledge into a specific job role. We take the general networking knowledge covered in the Network+ exam and place it in a real-world environment, so that all of our students become confident enough to pass the exam, all while applying this information to working examples. Throughout an intense 3-day session, our students gain the essential skills and knowledge to excel in the networking industry, allowing them to progress to an entry-level position or onto additional training to build their skills and increase their salary even further. 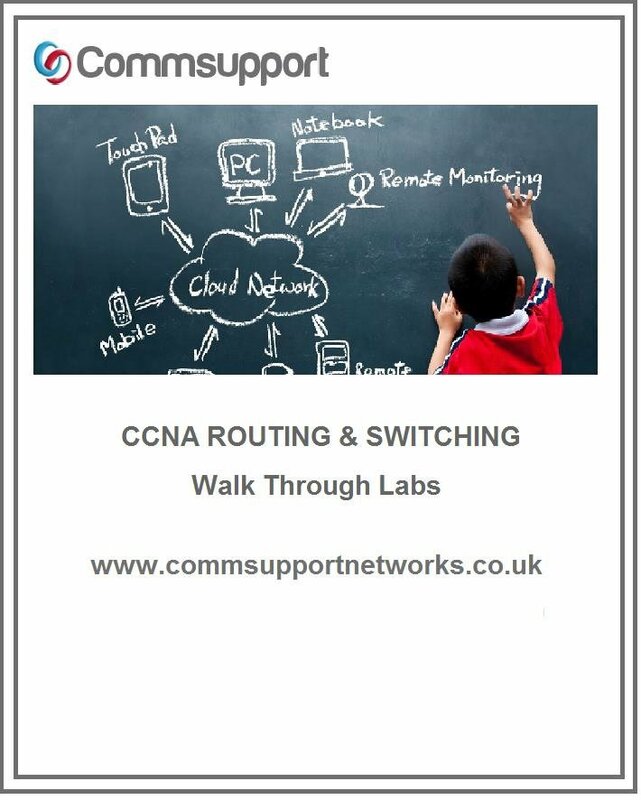 Our students come to Commsupport knowing that they will leave us after 3 days of intense training to then face the CCNA Route & Switch course with confidence. So why are you looking at taking this course? If you intend to take on the CCNA Route and Switch course and then progress up through the myriad of Cisco and other networking certifications, then you will need a solid foundation. If you think about any building or a pyramid, for example, the stronger and wider the base determines how high the pyramid or building can go. The same can be said for the CompTIA network+ which builds a solid foundation knowledge of networking, giving you a solid base that will facilitate your learning and understanding of networking topologies. If you are a project manager or in pre-sales or even just wanting to get an understanding of networking this course will provide the necessary foundation that will stand you in good stead for years to come. Finance options available. To find out more, please click here.